English literature finds life in Tel Aviv as language-lovers put their ideological differences aside in a rare moment of unity. People slowly filed into the auditorium, clutching coffee and, often, a book. The gathering seemed random at first: young and old, women and men, religious and secular, both sides of the political spectrum. 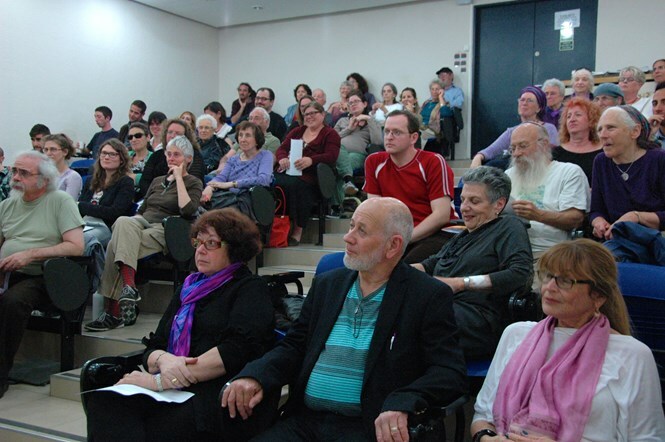 But they gathered in Tel Aviv University (TAU) Thursday for a common purpose: to celebrate their love of the English language. The lively crew united for the launch of the Arc 23 literary journal, a joint project between TAU's English department and the Israel Association of Writers in English (IAWE). The journal's theme - 'Poetry Beyond Borders' - saw fulfillment during the ceremony, as a collection of different voices spoke on their love for life, poetry, and Israel. The synthesis of so many voices was overseen by Editor Dara Barnat, Managing Editor Dr.Michael Dekel, and Chairwoman Professor Karen Alkalay-Gut. Poets at the reading often evoked emotional reactions over their politics - whether it was the left-wing activist decrying the "angel of history", or the smiling poet describing the Jewish people's inherent connection to the Temple Mount. But as I saw both sitting and pleasantly discussing their latest books after the reading, it became clear that the journal has succeeded to unite the two over a common love - language. After the reading, I spoke to Professor Karen Alkalay-Gut, chairwoman of the project and TAU professor, about the unique ability of language to unite the many different groups represented at the event. Tell me a little bit about the rise of Arc - why was it started? How has it changed? In 1979, the newly formed Federations of Writers’ Unions, headed by author Ben Zion Tomer, approached me to create a writers organization in English. It was to be one of at least twelve organizations under the umbrella of the Federation sponsored by the government and the office of immigration. I turned to the other writers I knew – we had been appearing together in hotels and night clubs as well as the writers’ house in Tel Aviv to large and appreciative audiences and we all believed we could help to act as a bridge between the Anglo-Saxon community and Hebrew culture. We were all translators as well and had been translated to Hebrew. Ten writers wrote the constitution and were accepted as a non-profit organization (Amuta). The rules of the constitution were determined by the Federation: The first rule was that professional writers who had published at least one book could apply and be reviewed for acceptance. The second was that we would be subsidized to publish an annual journal. At the time there were many conferences and government sponsored events in which we all participated and enjoyed immensely. 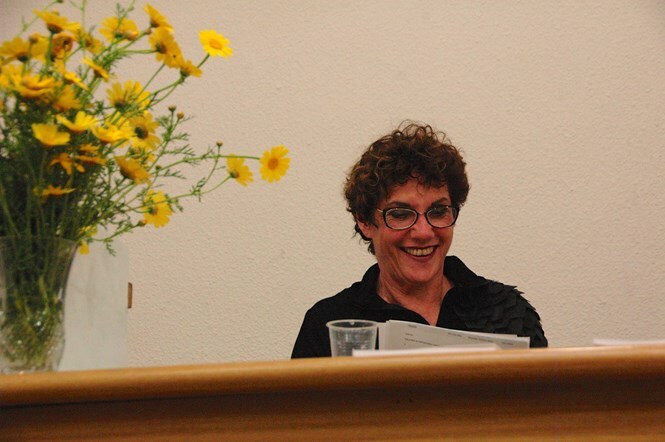 Riva Rubin z”l was the first editor and chose a title that would reflect the multiculturalism of the authors and the internationality of the audience. 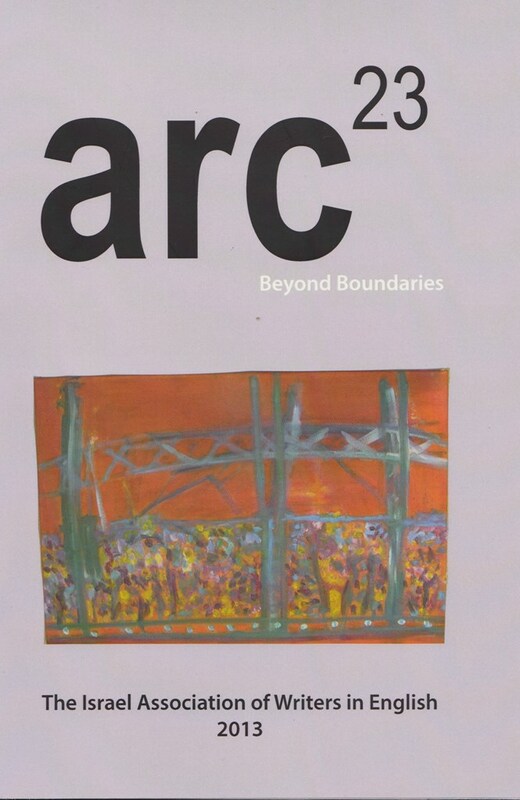 The journal was called ARC and every edition had a number. This was 34 years ago, so we should be on ARC 34, but around twenty years ago the funding was cut and has been reduced to nothing in recent years - so our only source of income is now membership and the selling of journals. The Federation in itself was dissolved and the only other writers’ organizations left are French and Russian. But we push on and try to publish whenever we can. Each time we elect a different editor and each editor finds a different group of writers who submit their material. So each issue is different. We don’t even give preference to members in the publication. So there are many members who are essentially supporting the idea of writing and not promoting their own work. When did the partnership start between IAWE and Tel Aviv University? Was this always a joint project? How do the two collaborate? The English department has sponsored a number of readings of various authors. It’s a way for the students to become involved in writing. I think it works well for both organizations, but the organizations are separate and have no contract - except a mutual interest in literature. A number of people involved in this particular issue happen to be from Tel Aviv University – Dara Barnat was teaching here, and Avshalom Gissin, Nadja Rumenceva, and others who are students or faculty submitted as well. But there are many writers involved with Bar Ilan and Jerusalem groups. What do you see in the future of the English-speaking community in Israel? Are there any specific goals that your members share? My personal goal is to encourage writers. I hope to find as many ways of helping people become better writers and educating audiences to enjoy good writing as much as possible. We are a non-profit organization and the more donations we get the more we can do. I’m working on an anthology of English writers in Hebrew for Keshev press at the moment, but it would be wonderful if we could give out annual prizes for the best short story or poem in English, be able to sponsor readings all over the country, and in general help writers who write in English. It has always been my belief that English writers should be a bridge between Israel and the world, explaining the life and problems here.